I get invites from many big and small properties but I hardly get time to visit and review them all. 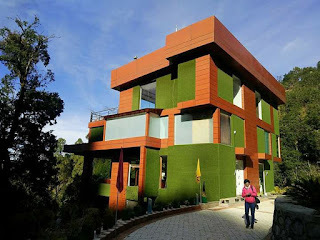 This time around when I got the invite from Aamari resorts, a luxury resort in Nainital, something clicked. 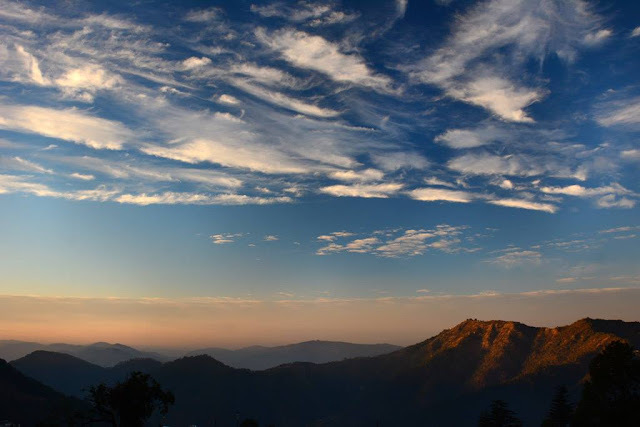 May be it was the perfect weather for an outing or it's location - the quaint Kumaon hills or it was meant to be like this. The property looked inviting in pictures on the net. So without any second thought, I instantly finalized the plan and headed towards it the very next day. Started early morning from Indirapuram. Around a kilometer before Gajraula when I was looking for a place to have breakfast, an interesting sign board attracted my attention - "Enroute - The Dhaba". The place looked interesting, so thought of checking it out. A very good decision it was to stop there. The ambiance, the cleanliness, the staff all looked perfect. And the food was just amazingly delicious. (review in another post). Such a good start it was to the trip. It was an enjoyable 8 hrs journey through the villages, green fields and small market places. I took a detour from the highway through Suar and Kaladungi to make the drive more interesting. The road condition also is better on this route than the highway. Via Kathgodam, Nainital and Bhowali, driving on the picturesque road through pines I reached Ramgarh. The scent of pines and the lovely view of the valley and the snow covered peaks welcomed me to my lovely abode - The Amaari Resort. The smiling staff showed me around and took me to my room. 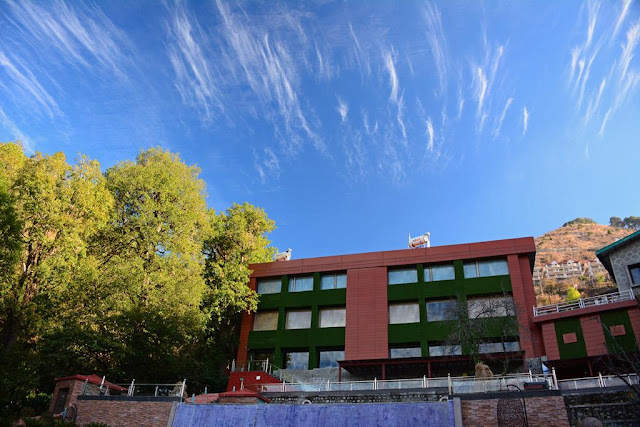 It's a huge property with 22 rooms and 3 villas located on a hill, Mine was a well designed room with huge glass window overlooking the valley. A hot shower after a somewhat tiring journey refreshed me to the core. A small walk in the woods there after made me forget all the worries and hurries of the busy city life and I was fully in the holiday mood. The next day was spent exploring the surroundings. There's a lot that can be done in the area. 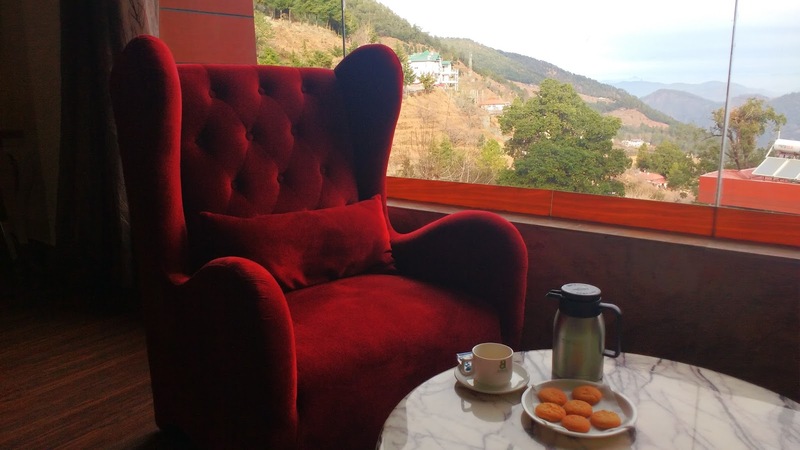 Go to Mukteshwar temple located on a top of the hill, do bird watching at Maheshkhan, visit Sitla for a panoramic view of the gorgeous snow covered Himalayan ranges or just relax at the resort. I went to explore the nearby village Nathuakhan. Had fun time interacting with locals and having local sweets and snacks. After a tiring day, my evening was spent relaxing at the resort and enjoying the play of colors on the sky that created dramatic patterns along with clouds. The place had a welcoming aura to it. It is placed beautifully on a hill amidst pine forest with a wonderful view of Himalayan peaks and is perfect for those looking for a relaxing vacation in the lap of nature. Most of my time was spent by the huge glass window in my room sipping tea and watching the sky and peaks changing colors. I wasn't surprised to hear that Aamari is built on the same hill where the famous writer & poet – Rabindranath Tagore wrote the verses of his Nobel Award Winning Epic Geetanjali and also Poetess and Freedom Fighter Mahadevi Verma got the idea of writing her famous story “Lachma”. The infinity pool overlooking the Himalayan ranges and the valley is the highlight of the resort. Inspite of its remote location the resort has a wide range of activities to offer for all age groups and interests. 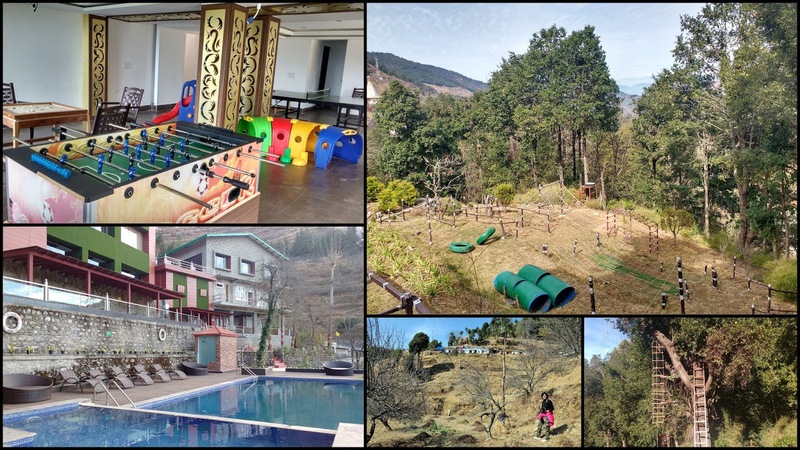 The games room for kids, outdoor activities for the teenagers and adventurous lot, a well equipped gym for health freaks, the spa and sauna for relaxing, nature walks and bird watching for nature lovers. This makes the resort ideal getaway for group of friends, families and corporate, precisely everyone! 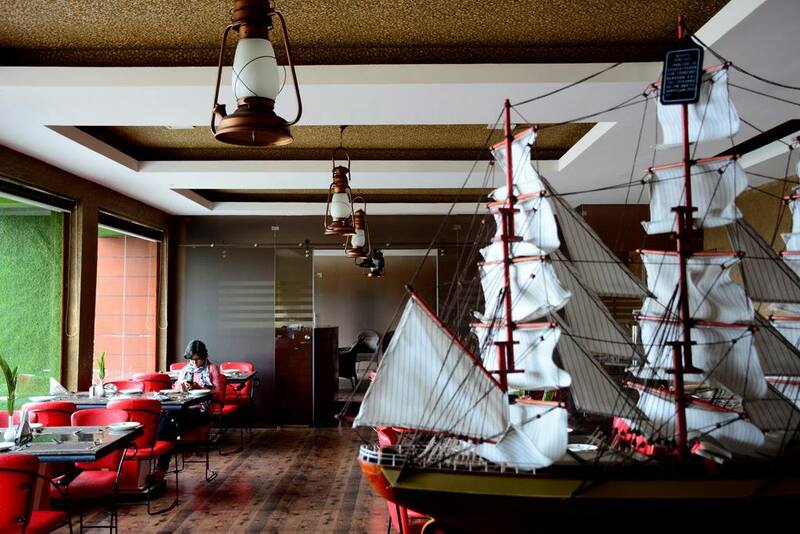 Tastefully done interiors combined with the tasty food and perfect service made the dining experience something to remember. The well groomed local staff ever-ready to talk and help was commendable. My cozy room, sleeping to the sound of wind passing through the pines, waking up to see the valley being slowly lit by warm sun rays, the nature and village walks in the day, the evening snacks and hot cup of tea by the pool side, watching the changing colors of the evening sky and sleeping while watching the stars at night... I loved it all!